Who likes babies!?!?!?!? 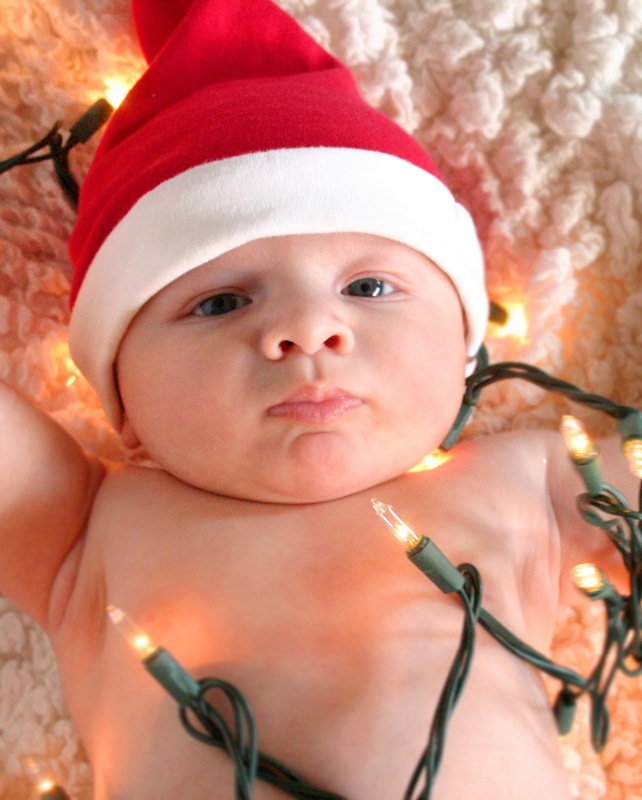 Who likes babies holding onto Christmas lights or snuggled in a basket with ornaments all around?!?! We do, we do!!! 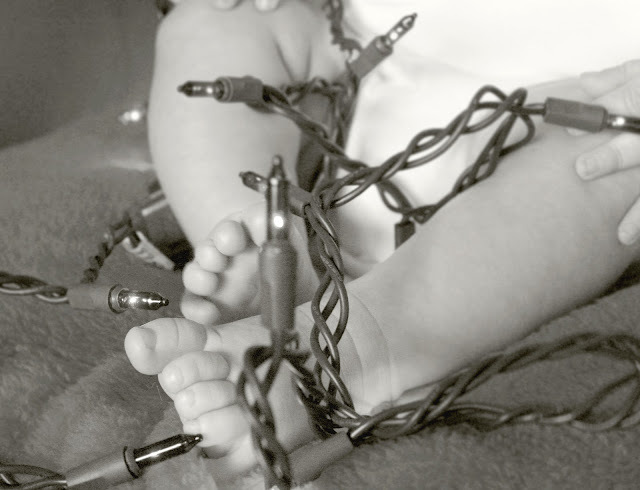 I wanted to share with you guys a fun little "Baby's First Christmas" shoot I just did for a friend. If you remember, I helped photograph her baby shower, maternity shoot, and now I have the honor of capturing her sweet little guy's first Christmas. This one makes me laugh. He's like, "Hmmm yea I think this is good..."
This one makes my husband and I giggle. Cute right!??!!? He was SUCH a good baby to photograph for my first time. Happy and giggly and just all around sweet as can be. So now I'm thinking it's a good time to sign off for a nice winter's break ;) I have plans to sit around and catch up on magazines that have been sitting on my coffee table for EVER...drink lots of peppermint tea (my new favorite), and snuggle my husband and kitties through the New Year! <-- OH speaking of which, a friend asked me a while back to take pictures of her wedding which is on New Year's Day! EEEEEEEEP! Of course I said YES...but now the nerves are getting the best of me! Wish me luck!! I'll for sure share them as soon as all is done ;) So Merry Christmas to you all, and see you next year!